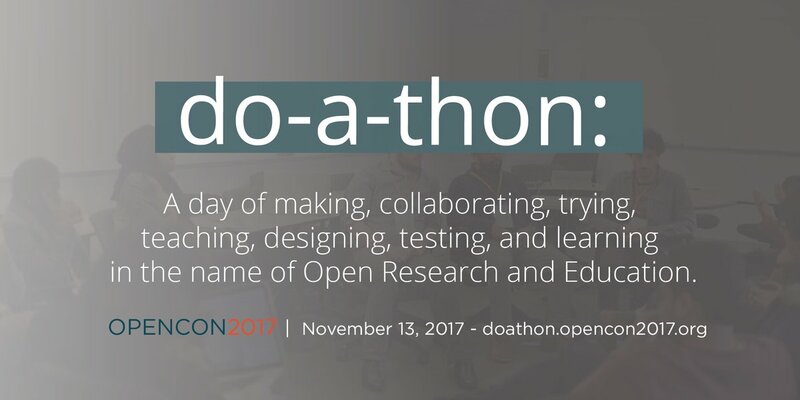 While international Open Research & Education community gears up for OpenCon 2017 to take place in Berlin from the 11 to 13 November, 2017, OpenCon orginizers are inviting all interested parties to contribute to a “DO-A-THON” (“a day of making, strategizing, and collaborating on projects to advance Open Research and Open Education”). Even if the official date of the DO-A-THON is November 13, 2017 - you can start preparing today ! DO-A-THON : what is it all about? Get started with participating , even remotely !